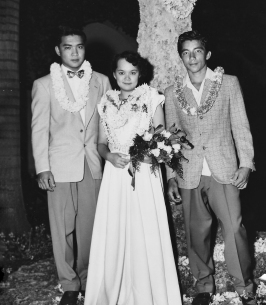 Jasmine Nyuk Chan Won, 89, passed away on March 14, 2019 in Mililani, Hawaii. She was born in Honolulu, Hawaii. She is survived by Sons Rodney Veary, Glenn (Kelli Ann) Chung, and Matthew (Trisha) Chung, ten grandchildren. Celebration of Life services will be held on Wednesday April 17, 2019 at 9:30 am at Bethel Bible Church of Wahiawa located at 1106 Kilani Avenue. To send flowers to the family of Jasmine Nyuk Chan Won (Won), please visit our Heartfelt Sympathies Store.